2015 Lykan HyperSport is set to be launched by the Lebanese brand W Motors, a giantmotor corporation founded in 2012. After the first launch of this car in the Qatar Motor show 2013, it has never looked back. The public demand has been such that is finds its place in the featured film Furious 7 along with leading video games like Project CARS,Drive club, Asphalt 8: Airborne, and GT Racing 2: The Real Car Experience. The interior of the car is equipped with a 360 degree all round rear view camera for a clear idea of the whole picture around and a carbon fibre centre console finish. The virtual sensors are capable of recognising faces and people. 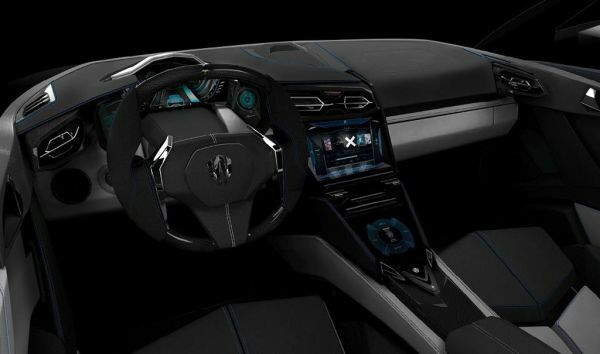 Other features provided are multifunctional sports steering wheel, electrically operated mirrors, heated rear scree, navigation system, automatic climate control, excellent stereo system, trip computer, a high-tech digital cluster, and a nine inch hologram display with ease on interactive motion. Safety features included are driver and co-passenger airbags, engine immobilizer and alarm with volumetric and tilt sensor facility. The seats are electrically adjustable with gold wire stitching. 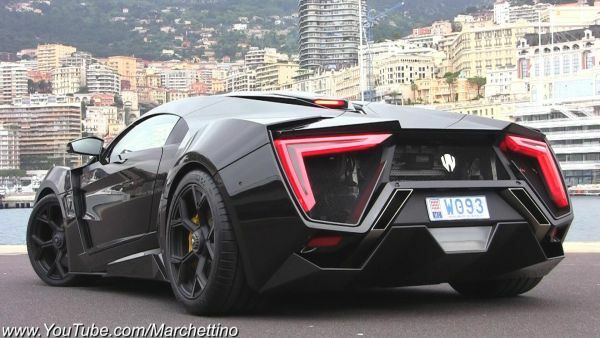 The 2015 Lykan HyperSport exterior is the talk-of the town. There is Titanium LED blades fitted with 420 diamonds (15K) on its body panels. And it’s obvious that, the car will provide options for customers to integrate emeralds, rubies or sapphires, as per the likes. There is also a distinguished plate fixed near the rear window roof displaying the vehicle number and the delivery date. The 2015 Lykan HyperSport will be powered by a Boxer type, 228.6 in3, 3746 cc, and Flat 6 mid-rear mounted engine enabled with Twin Turbocharger with Independent Intercooler and Six Speed Sequential Gear or Seven Speed Dual Clutch PDK transmission system. The engine accelerates at 0-100kph at a minimal time of 2.8 seconds and 0-200kph at a minimal time of 9.4 seconds. Depending on the gear ratios, the maximum speed can rise up to 385 km/h (240 mph). The maximum torque is 960 Nm at 4000rpm. Maximum output is 552 KW/770hp at 7100 rpm. The mileage is rated at 20.0 mph in urban, 9.9 for nun-urban and 13.5 mph for a combined drive. The MSRP for the 2015 Lykan HyperSport will be around 3.4 million dollars. Thecar is likely to be launched from the mid of 2015 to the beginning of 2016. Being a limited production sports supercar, this never loses its market value and is the constant gossip among the sports car lovers. The prime and best valued car of the Middle East, Lykan HyperSport 2015 is the third most expensive car in the global market.